Since there are no specific treatment measures that can be used to cure addiction, there has been a development of various programs that focus on individual needs. However, other treatment programs are effective to almost every addict. One desirable technique is didactic therapy. It has gained popularity in therapy and counseling. This therapy is ideal for patients suffering from addictive disorders or drug abuse and all the other addictions. Didactic therapy helps to increase people’s cognitive and emotional regulation. It helps the patient to understand the consequences of reactive states and bring a solution with coping skills to implement in the sequence of thoughts, behaviors, events, and feelings to avoid undesired reactions. This therapy understands that everyone is doing their best to become a better individual but lacks the required skills to succeed. Or rather, there could be an external reinforcement, positive or negative that influences their ability to function appropriately. Didactic therapy was developed over three decades ago as a form of modified cognitive behavioral therapy. Back then, it was used to treat chronically suicidal individuals and people with borderline personality disorders. However, didactic therapy has continued to develop and gain popularity in various psychological treatments, and the patient’s response is commendable. In the midst of all therapy programs, didactic is the first to experiment in several conditions, and it has proved to be fruitful amongst them all. What makes this form of therapy different from all the other modalities is that it’s more instructive. It’s a form of therapy modality that involves communication between the counselor and the patient. The communication between the two, however, can result in an emotional experience. Didactic therapy treatment is ideal for both group and individual therapy. Additionally, this also works for outpatient treatment as well as for inpatients. Therefore, people who have a problem with substance abuse and have other engagements that do not allow them to be booked in for treatment still have a chance to enjoy the treatment. Didactic therapy program is convenient for short-term treatment. With this therapy treatment, the patient understands the causes of drug addiction and the effects of addiction disorders before the treatment. It gives the patient an opportunity to work on their treatment procedure with the help of the counselor and other patients onboard. The best thing about incorporating didactic therapy in one’s addictive disorder is that it gives the freedom of empowerment. It shows the patient the effects of the disease and comes up with the best recovery strategy that will help his or her recovery process. The steps and coping skills that the patient learns from the treatment will, therefore, motivate him, or her to remain sober. Additionally, the treatment helps the patient to understand their condition in a better way, hence change the perspective and feelings of their previous experience and behavior. Although the treatment only takes short-term before the patient begins to note significant results, it installs skills that are strategic for long-term recovery. It pushes the patient to resist temptations and remain sober. Some of the skills that patients of didactic therapy acquire are things they didn’t know or were unable to implement beforehand. These skills are proof why didactic therapy is instrumental for patients with the addictive disorder. In this form of therapy, the patients learn the basics of substance abuse, how to deal with causes of drug abuse, and the symptoms and signs of an addiction. The information gives details of neurobiological association with abuse. In return, it gives knowledge on specific interventions such as anger management, relaxation, meditation, and nutrition. This makes didactic therapy a form of psychoeducation or instructions form of treatment. Didactic therapy focuses on dealing with specific issues that are related to addiction. The group members of the therapy session have the same addiction, which makes it easy for the therapy to address their condition at a go. However, there are different ways that counselors use to deal with the condition. Some of the ways of passing on this treatment include audio recordings, videos, or lectures. In most cases, the therapy allows the group leader to come up with specific material for discussion and offer instructions that will meet the needs of all the group members. The materials include matters that directly affect the lives of individual members, and this makes it easy for all of them to discuss, interact, and deal with the symptoms directly. 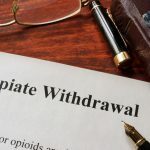 However, patients with addiction problems and are using other therapy treatments can still have the chance of incorporating this therapy with their routines. Didactic therapy has also been recently tested to offer fruitful results for people with other addictions rather than substance and drug abuse. It is also effective for outpatients, and it allows them to practice the treatment even while at home. Additionally, it gives the patients the ability to control their treatment as it involves them more than the counselor. What is Molly and how Does It Effect the Brain?